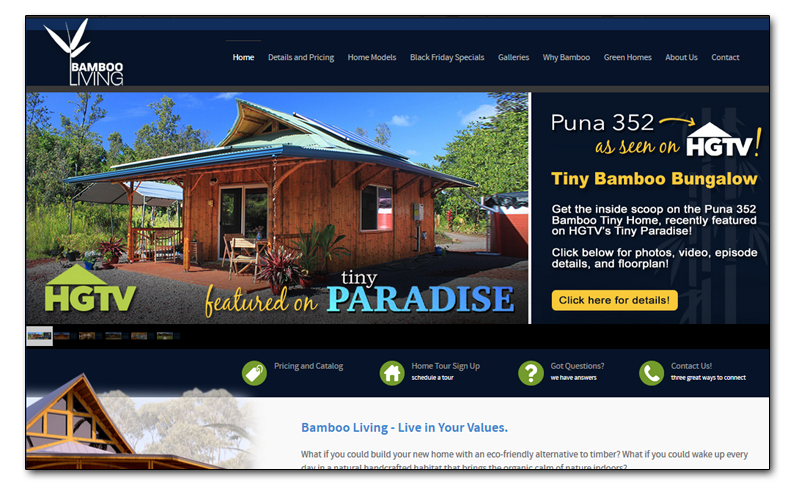 This site offers elaborate homes constructed completely from bamboo. We wanted to show the beauty and natural feeling these homes create, as well as the eco-friendly engineering that went into the entire manufacturing process. This site features many beautiful image galleries and 3D Virtual tours, as well as a fully integrated lead system that ties into the ‘Salesforce’ CRM.